Hey all, been some time since I have messed with my air gun. Currently own a Benjamin Discovery in .177 that has been an awesome squirrel killing machine. I am now looking to add a .22 to my collection. At first I thought, why not another Discovery since this one has been so good. But then noticed the Beeman QB Chief and the Benjamin Maximus. I am looking for some feedback ( positives/negatives ) on both rifles. Again it will be in .22 ( in case that makes any difference). The QB Chief is more powerful than the Disco are you sure? if you are into modding. 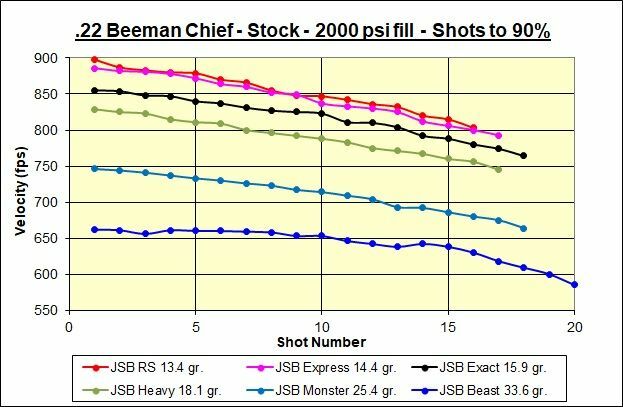 jsb 15.89 at 925fps and all are surprisingly accurate. The Chief does come with a built in power adjuster/hammer spring preload adjuster, so that's nice, and a degassing tool. It also has an adjustable trigger. Very nice gun imo. Not that the Maximus isn't a good choice as well. Personally I like the looks of the chief with the wood stock. Mine's really accurate too! Canadashootingsupply.ca has them in stock and on sale right now with their Christmas promotion. 7% off everything in store. I have both and would take the Chief over the Maximus any day. Trigger in Maximus is total crap even after it's adjusted, Chief trigger can be with a bit of adjustment far better. Chief like ALL QB's I've had has some O-ring issues, easy to get and easy to fix. Power in .22 they are close to the same out of the box and over 20 ft/lbs using JSB pellets 14.3,15.89 and 18.1 gr. In.177 they also are close and just under 20 ft/lbs using several JSB pellets again. QB weighs a bit more and has the wood stock. My Chief's, both out shoot my Maximus. Where I can find O-rings (seals) for the QB Chief? Kit exist? I have both of them, I like the low fill pressures. I don't want to do any serious mods on them. Most of the O-rings I use were purchased in a kit from a hydraulics shop, some are from a kit I got at Princess Auto. Any others Ontario shooting supply has some for the QB's. I had a Maximus and suffered from barrel droop. The stock trigger sucked, the bolt handle flicks up like most 22xx air guns. I have usually found that the bolt handle flipping up is due to increasing the hammer strike, and the cocking pin hitting the back end of the bolt on firing.... 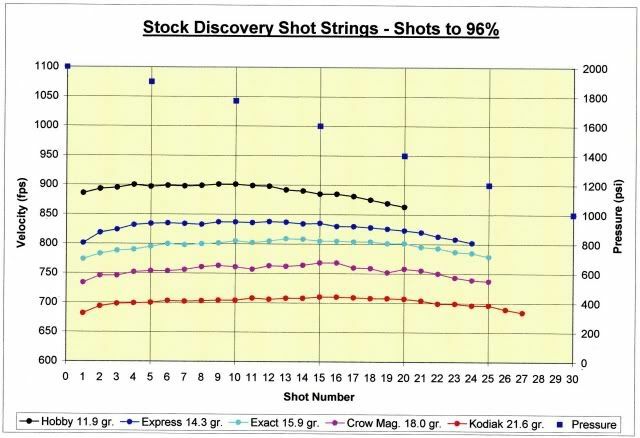 I haven't actually seen it on a stock 22XX or Disco (never owned a Maximus)…. Wow, thanks for all the replies fellas, I am still sitting on the fence at this point though. Maybe I should hold off for a bit , save up some more $$ and look at a Marauder in .22 cal . Mine did it stock. First mod was switching out the trigger. 2nd was stealing one of the Wife black hair elastic. Looping it around the trigger mech and looping it around the bolt handle. Okay, lets throw another gun into the mix. The Umarex Gauntlet in .22 cal. Looks like there are lots of good reviews online of this gun as well.